It’s always hard to summarize what a destination means to you – how do you tell friends and family in a few words what a place was like? 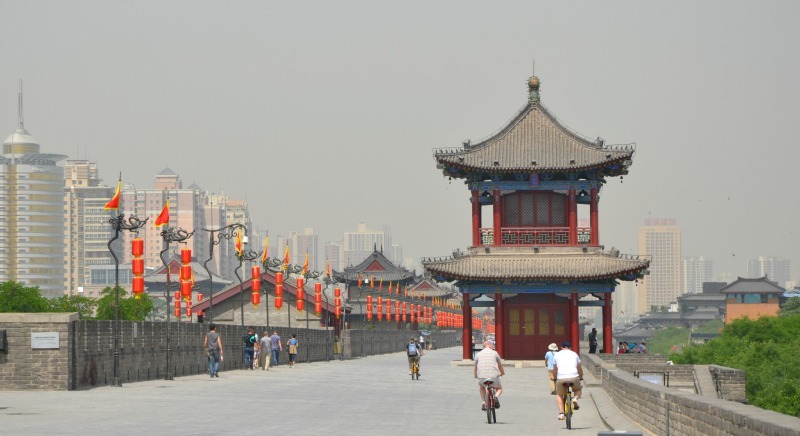 Cycling the wall of Xi’an was a fun moment – being on two wheels, seeing the modern city surrounding such an ancient creation. I loved seeing the traditional structures along the wall, and the bright red lanterns that surrounded the traditional temples. At certain points there was also traditional music, which seemed fitting for peddling over the old stones. To discover the city from its wall, to be on a bicycle (although much newer and more modern than what I saw most people riding) was the right combination to create a lasting memory of this ancient city. As my travels continue and my memories get jumbled, this is one that will stay in focus.